Boss, the upper premium apparel and accessories brand from the Hugo Boss Group, will open at intu Watford before Christmas following the opening of the centre’s 400,000 sq ft retail and leisure extension. Owner intu has signed up the aspirational retailer for a 3,550 sq ft shop within the £180m extension which is increasing Watford’s appeal among its prosperous catchment area with the arrival of more flagship stores, leisure operators and a second department store alongside John Lewis. 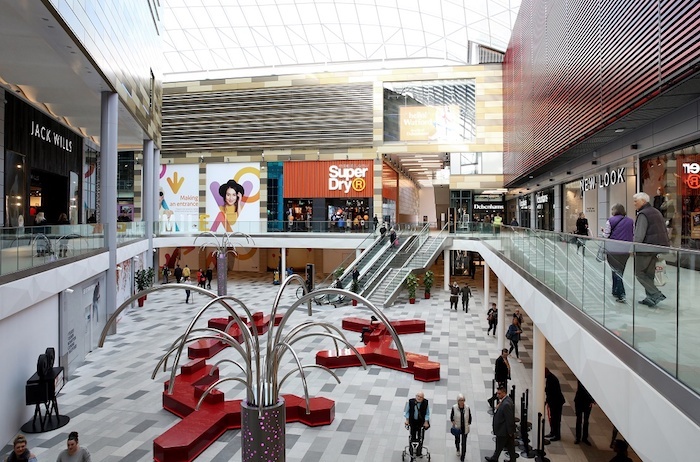 82% of the centre’s shoppers are ABC1, the most affluent socio-economic group, and the launch of the extension this autumn has boosted Watford to a top 20 retail destination alongside Edinburgh and Bristol in property consultancy CACI’s national ranking. Boss joins intu Watford’s existing line up of aspirational retailers including Mac and Apple. Rebecca Ryman, regional managing director at intu, said: “intu Watford is already one of the UK’s most popular shopping destinations, attracting a 14 million annual footfall. Our investment and the new brands we’re attracting are increasing the centre’s appeal among an already very wealthy catchment population from across London and the home counties.